Come to one of my workshops. Keep checking back, in the upper right corner for when. 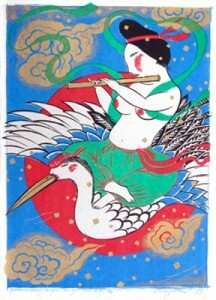 That’s the “Goddess Coming to You” by Mayumi Oda.